I had never really seen the likes of it … dog feces smeared over the wood floors, evidence of roaches littering the bottoms of every kitchen cabinet and drawer, holes in the walls, mold in the bathroom, thick layers of dirt and grime and dust coated everything with a surface. My husband and children had just spent the weekend helping me clean up my North Louisiana rent home. We carted out piles upon piles of trash, raked up two years worth of leaves, swept and mopped and scoured every surface we could easily reach. And still at the end of those two days of hard work, there was still so very much more to do. The bathroom leak had been fixed, but now came the work of ripping out all of the molded sheetrock and putting up new. There were several broken ceiling fans and light fixtures which needed to be replaced. One room had several large holes in the walls, which meant I needed to get new paneling. Throughout the remainder of the house, the walls and trim desperately need new paint. And then there was the question of the roof. Did it leak as my former tenant indicated, even though I couldn’t see physical evidence of the leaks? If so, could it be patched, or was I looking at the expense of a brand-new roof? As I stood and looked around my, I saw the fragmented beauty of what once was. But the charming old home that I had bought for myself just five years earlier was no long charming or beautiful. My brother, who had come by to help for a couple of hours, shook his head in disbelief and said, “Well, Paige … this definitely isn’t the home you left 4 years ago, is it?” Sadly, all I could do was nod my head in agreement. I smiled at him, for the first time feeling that all wasn’t lost. 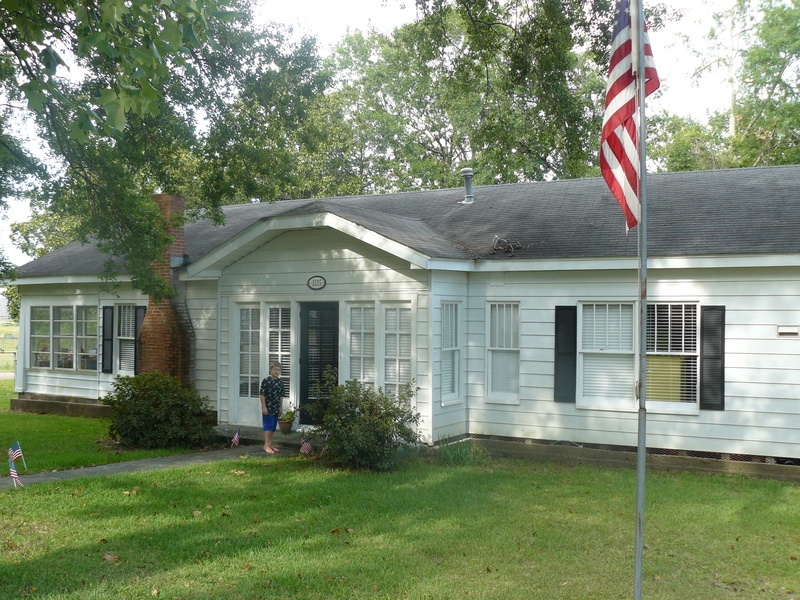 Even through the discouragement, I knew deep down that the old home could become like new again. This house could be restored. It’s been almost a month since they left us. I still miss their sweet little smiles, their precious hugs and kisses, the way their chubby hands felt in mine. I miss rocking and singing and reading books. I knew from the beginning that being a foster parent would require me to love children as my own and then be willing to give them back to their parents. After all, that is (at least initially) the ultimate goal for every foster child. But knowing isn’t quite the same thing as experiencing. I didn’t know how it would feel to buckle their car seats for the last time knowing this was our goodbye. How could I have prepared myself for the tears that streamed down my cheeks as I washed the last of the baby bottles, sobbing because that sweet little girl who wouldn’t be snuggling with me at night any more? For two weeks after they left, I kept coming across stray baby socks, chunky legos and matchbox cars, evidence that two small people who used to live with us don’t live here anymore. Every time it made me cry. 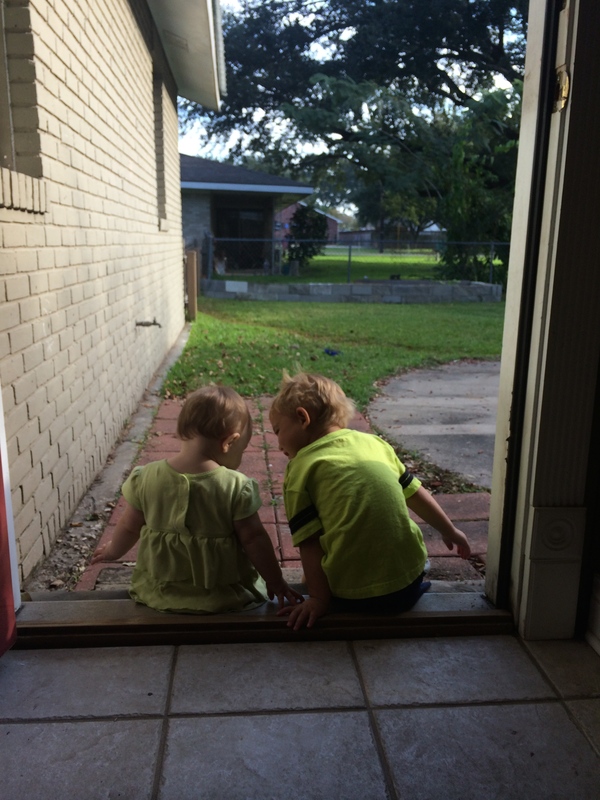 It’s been hard on my heart, and yet if I am fully truthful then I must also say that there is lots of joy and hope in my heart for those two precious children. They are back with their mama. Isn’t that where every child wants to be? Held in their mother’s arms? Loved by the parent who brought them into this world? God called me and my family out, asked us to be part of something bigger than ourselves. We learned to love children who weren’t ours as if they were our very own, and then in the end we had to give them back with nothing left but the memories. But oh, what a privilege to be witness what came as a result! A family has been restored. Not quite six months ago, my father died. Unexpectedly. On my birthday. I’ve not nearly gotten over it yet. Most days, I wonder if I ever will. It’s been a surreal sort of experience, learning to go throughout my days without talking to my dad. I used to pick up the phone without thinking. I wanted to talk to him, tell him something funny one of the kids said or ask for some advice. I would be halfway through dialing before I would remember that he no longer was around to answer phone calls. Other times the phone would ring, and I would answer expecting to hear his voice on the other end of the line. Of course, it always turned out to be someone else and I would spend about half of that conversation trying not to cry because I wasn’t talking with my father. Once I was at my home church and thought I saw my father walking at the other end of the hallway, his back to me. I raced ahead without thinking, only to feel surprised when it turned out to be my uncle. While I was glad to give him a hug, I wished it had been my dad instead. 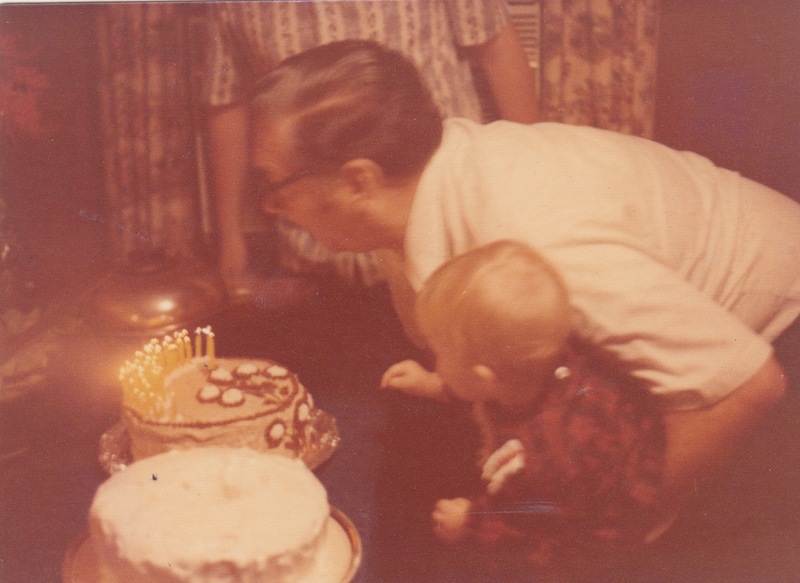 I celebrate my first birthday while Papaw celebrates his 50th … the first of many birthdays we celebrated together. Just last week, my grandfather passed away. Now not only is my father gone, but my father’s father as well. Though it wasn’t nearly the shock of my father’s passing as my grandfather was ninety-one and had been ill for most of the last six weeks of his life, his death has left a what feels like a large raw, ragged hole in my heart. Two patriarchs gone in less than six months. The two deaths feel so entangled, I am not sure I even know how to process through the grief. At my grandfather’s funeral, it felt all too familiar. Weren’t we just here, reading the cards attached to the flower arrangements, accepting casseroles and cakes from well-meaning church members, and receiving condolences from a long line of friends at the church? Now we must do this again? 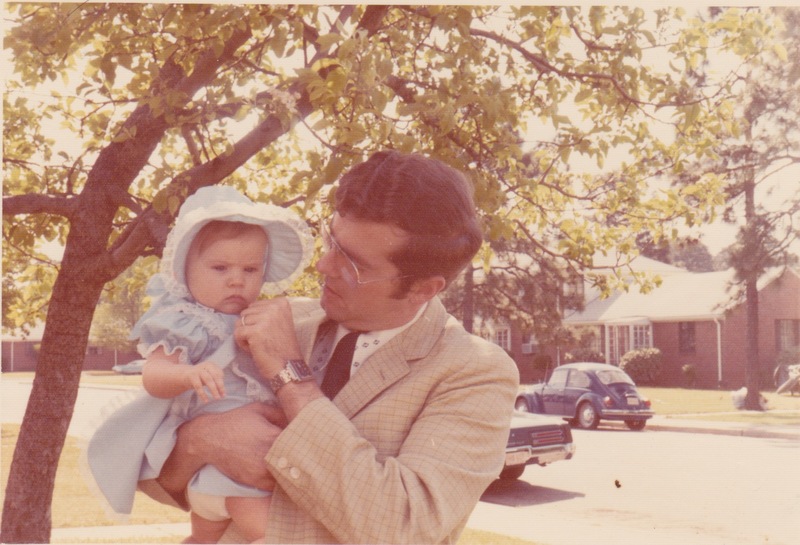 Tears ran down my cheeks as I watched the photo slide show during the visitation for my grandfather, yet I wasn’t sure who the tears were for … Daddy or Papaw. Maybe the tears were mostly for me. Until the last six months, I never thought about Heaven much at all. If I am truthful, I must admit that actually going to Heaven is something I have never really anticipated. I’ve always expected that some day in the future I will go there and see it for myself, mainly because it is what God promises will happen when I die as a result of putting my faith in Him. But I haven’t really ever spent time looking forward to that day. Furthermore, lately I’ve realized that for most of my life my thoughts about Heaven have frequently conflicted with Biblical teachings. I’ve always imagined Heaven as this great white expanse, trimmed in a rich gold. Pristine, quiet, and ethereal. Everyone there wears a white robe and a completely serene expression upon their face. As Heaven knows no anger, no tears, no worry, no sickness, it is a place of complete peace. But I also came to realize that I also never imagined heaven being a place of joy or laughter or even of love. Just eternal rest from this current earthly life. No wonder I wasn’t eager to think about it or to anticipate going there myself! If dying means never laughing or feeling excitement again, then why would I care about Heaven? Of course, since Dad’s death, I’ve thought quite a bit more about Heaven. I’ve never doubted that my father (and now grandfather) is now experiencing Heaven, but I have wondered if the things I miss most about them are still a part of them. Oh, I hope so! I miss their laughter, story-telling, and curious minds. How I would love, just one more time, to hear my father and grandfather engaged in one of their friendly Biblical debates, as they happily studied their Sunday school lesson together. I can’t tell you how many Sunday lunches I spent listening to them discuss exactly who Melchizedek was and the mysteries surrounding his priesthood. Are these parts of them buried in the grave? And what of other things about this earthly life that I enjoy now. I know this planet is a flawed place to live, so far from perfection, but there is still so much to love about the world God created. Beautiful sunsets. Stars against a dark night sky. Cool breezes. The kiss of warm sunshine against my skin on a spring day. Brilliant fall leaves. Laughing with a friend. Hugs from my family. Chocolate. So many things I cherish about life … When this life is over, must these end as well? Not long ago, Jon had a dream about the Wedding Feast of the Lamb. In his dream, he was this large banquet hall where huge tables, covered in white clothes, were filled with large platters of delicious food. The smell was intoxicating. As Jon sat down to eat, he noticed a group of dancers enter the hall, performing an intricate dance to this amazing music. Jon said he started to dance along. Next there were singers. Again, Jon knew the words to all the songs and enjoyed clapping and dancing and singing. Then later on, he noticed several groups of people, each one seemed to be captivated by an engaging story-teller. Jon said it was the most wonderful party he had ever attended, and that when he woke up he was actually sad that it had to end. Heaven? A party that never ends? Now that sounds like something to get excited about! This particular quote resonated deeply with me, obviously because it was so true of my own beliefs regarding Heaven. My imaginings of Heaven aren’t accurate at all, for it is far from being a place of mundane existence. Earth is just a prelude to heaven. So magnificent sunsets, majestic mountains, delicious meals in the company of friends, the joy of laughter … all of these things are just a delightful preview of what is to come. God declared His original creation as “good.” His plan all along has been to redeem and restore it. It’s not just for old houses or dysfunctional families or broken relationships. It’s for all of Creation. For me. For you. All it takes is trusting Jesus Christ to redeem us from our sinful selves. And when we do, we can anticipate the day we die, knowing we will be restored to all we were originally created to be, perfect in every way. We will not be sent to some place of eternal rest, but rather will be reinstated on a new earth, as real and as physical as the first, but without all the sin and shame and sorrow and sickness. A well written piece my dear. Your courage and beauty in the face of tradgedy has made you shine for Lord. Well done! Absolutely beautiful. We’ll possibly be moving in the next couple of months and are thinking of renting out our current home, and I have to admit this post strikes a little fear into my heart! But what a beautiful illustration of the way God can restore our lives… thanks for this! Being a landlord is not for the faint of heart! LOL! However, I think if you approach it like a business and are able to be close enough to the home to tend to the needs of the house/tenant (or can afford a property manager), then it is doable. Definitely caused more heartache for me and my husband than it was worth. So, we are praying hard for a buyer. By the way, house is restored … or at least as restored as we are going to get it. It was a fixer-upper when I bought it and it still is. But at least it doesn’t look like a trash heap anymore. That must be a huge relief! Thanks for this advice… we’d be moving out of state, so I suppose we would need a property manager…congrats on getting the house restored!